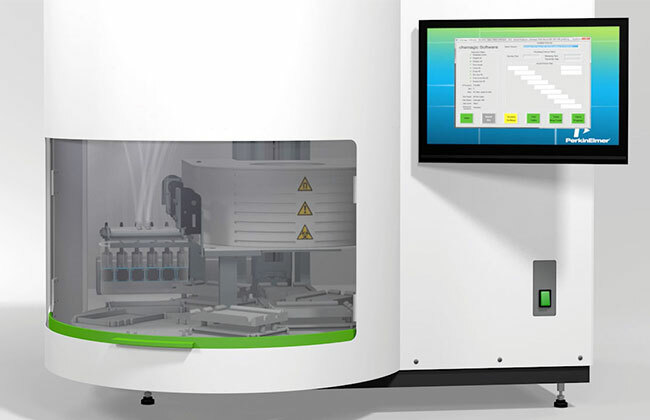 The PerkinElmer workflows for medium-throughput DNA and RNA purification from serum and plasma samples are designed to meet the needs of laboratories requiring the isolation of nucleic acids from tens to a hundred samples per day, with the possibility of easily scaling up to over 150 samples. 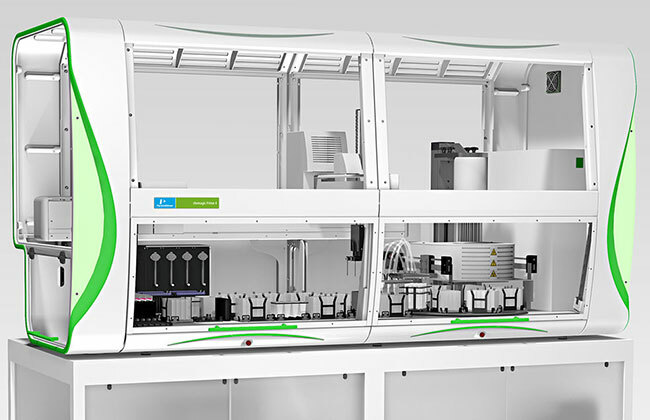 The ability of handling volumes up to four milliliters per sample makes these workflows ideal for downstream applications requiring high yields of nucleic acids, such as viral nucleic acid detection. Based on the combination of dedicated instruments and chemagen's proprietary M-PVA Magnetic Bead technology, PerkinElmer medium-throughput workflows for DNA and RNA purification from plasma and serum ensure the efficient isolation of high yields of ultra-pure intact nucleic acid compatible with applications such as viral detection and genetic analysis. Sample barcoding and software compatibility with all major LIMSs ensure full sample traceability throughout the entire procedure.